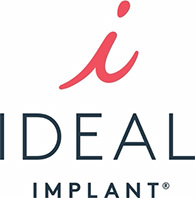 Ideal Implant - Now Available in Seattle at Pratt Plastic Surgery! 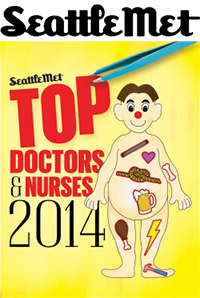 The Ideal Breast Implant Now Available in Seattle! The ideal Implant is a brand new revolutionary breast implant design which was recently approved for use in the U.S. for cosmetic breast augmentation in patients at least 18 years old. How is it possible to have the best of both worlds of saline and silicone breast implants? The ideal Implant design starts with a conventional saline breast implant and adds “feather” baffle shells to the interior of the implant. What are “feather” baffles shells? These baffles are not really feathers, but micro-thin sheets of implant material that float within the interior of the implant. How do these baffles create a natural feeling and looking breast implant? The baffles create multiple “micro-environments” within the interior of the implant that change the way in which the saline flows, creating a more natural “waveless” saline breast implant. What makes a “waveless” saline-filled implant as natural feeling as a silicone implant? Conventional saline implants, although quite natural in patients with sufficient breast and fatty soft tissues, tend to have a “sloshy” feel to them if the patient is extremely lean. The internal baffles of the ideal Implant help eliminate the sensation of waves, similar to how a waveless waterbed works, which utilizes multiple layers of fiber baffles for wave reduction. Why is the ideal Implant considered to be a “structured implant”? The internal design of this new implant gives a gentle support to its walls, helping resist “rippling” or “caving” of the implant, creating a more natural appearing breast. Are there any other differences between the standard saline breast implant and the ideal Implant? Yes, the base of the ideal Implant is slightly curved in order to better follow the contour of the chest. As a result, the edge of the implant lies closer to the underlying chest wall than a traditional saline breast implant, therefore the ideal Implant has less of a tendency to create a visible, unnatural line or demarcation between the implant and your tissues. Where can I see and feel an ideal Implant? During the months of July and August, our patient coordinator at Pratt Plastic Surgery will be available for a complimentary meet and greet, where ideal Implants will be available for you to experience. If you are interested in viewing and feeling the ideal Implant, please contact us. Can the ideal Implant be placed above or below the pectoralis muscle? Yes, similar to a conventional saline breast implant, the ideal Implant can be placed in either the subglandular or submuscular positions. Can the ideal Implant be placed through a short incision? Yes, since unlike a silicone implant, the ideal Implant is empty and is neatly folded prior to being passed through the incision, allowing Dr. Pratt to use a 1.5 inch incision. Can breast size asymmetry be corrected with the ideal Implant? Yes, because the ideal Implant is filled after being inserted into the pocket, the volume of each implant can be adjusted to create more symmetrical breasts. Can breast augmentation with ideal Implants be combined with a breast lift procedure performed at the same time? Yes, simultaneous breast lift and breast augmentation can be accomplished with ideal Implants. Do I need to get an MRI examination to detect if my ideal Implant is ruptured as I would with silicone implants? No, since these implants are filled with sterile saline, rupture of the implant should be easily identified as the breast deflates in size. Is my health at risk if my ideal Implant ruptures as I would have? No, since these implants contain nothing but sterile saline solution, your body would simply absorb the leaking fluid. We use the same fluid to fill the implants as we do in the IV. How do I know that this relatively new implant is safe and effective? The ideal Implant has been put through rigorous clinical trials in over 500 patients since 2009 and the results were excellent, with a 94% of patients reporting being satisfied with their result at 2 years following primary breast augmentation. The safety and effectiveness were found to be so good, that in 2014 the ideal Implant was granted unconditional approved by the FDA and Health Canada (equivalent of the FDA) for use in primary as well as revisional cosmetic breast augmentation. Who would not be a good candidate for breast augmentation with ideal Implants? Who pays for the implant if it should rupture? The ideal Implant company warrantee provides for lifetime replacement and limited financial help with implant replacement surgery costs. Do ideal Implants come in a high profile style? Yes, ideal Implants have essentially the same dimensions as the high profile saline implants that are currently available. Is there financing available for breast augmentation with the ideal Implant? Yes, there are several options available to finance a part or all of the cost of the procedure, allowing you to have your surgery and then pay it off over time. When can I have an evaluation at Pratt Plastic Surgery to find out if I am a good candidate for the ideal Implant? If you are interested in learning more about this revolutionary safe and effective breast implant, go ahead and live your dreams, contact us now. We are also proud to continue offering our Everett, Kirkland and Seattle breast augmentation patients traditional saline breast implants to improve their body contour. Renowned Seattle / Tacoma cosmetic surgeon Dr. David Pratt can place saline breast implants either above or below the chest muscle, depending on your body type. Safety Track Record – Saline breast implants have a longer proven safety track record than any other type of implant available today, as they have been used for breast augmentation since the 1960s. Unlike other forms of breast implants, saline breast implants are filled with a sterile saltwater solution that is completely safe in the unlikely event that the breast implant were to rupture. Cost – Saline breast implants are significantly less expensive than are silicone implants and do not require repeated costly MRI examinations. It is generally recommended for patients with silicone implants to have regular MRI breast examinations in order to check for signs of possible occult rupture. With saline implants rupture is quite rare, however, if rupture does occur, it is obvious without special tests since the implant deflates and this is clearly evident on examination by your physician. Incision Size – Since saline breast implants are inflated only after they are placed in their proper position, the incisions required to place the breast implants can be much smaller than the incisions required for other breast implant options. Appearance – Dr. Pratt has the more than 16 years of breast implant surgery experience and has found that essentially all of the saline breast augmentation patients have been very happy with their result. Spouses are similarly happy with the natural feel of saline breast implants. Saline breast implants have a very low likelihood of “capsular contracture”, a fancy way of describing formation of thick scar tissue around one’s implant which causes the breast implant to become hard, round, unnatural appearing balls. Patients who are extremely thin or have very little native breast tissue should in most cases undergo submuscular saline breast implantation. Using saline implants, Dr. Pratt has reported excellent results for his Bellevue / Seattle breast lift and breast asymmetry patients. What is the main difference between the ideal Implant and a gel implant. ideal Implants are structured implants filled with sterile saline, the same solution that is used for intravenous fluid administration. Gel implants are filled with a silicone gel, a gelatin-like substance. Intact gel implants are considered safe by the FDA, but a ruptured gel implant is not considered safe. The FDA strongly recommends that ruptured gel implants be immediately removed along with any gel that may have migrated or is embedded in the soft tissues of the armpit and chest. What are some of the advantages the ideal Implant has over Silicone Gel implants? With the ideal Implants you have no worries about “silent rupture” of silicone gel into your body, or need for expensive MRI exams to monitor the implant. 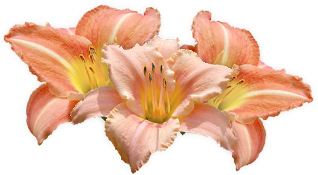 Breast asymmetry can be corrected, and a smaller incision can be used. When compared to a Silicone Gel implant, is an ideal Implant more or less likely to become a hard ball on my chest? ideal Implants are less likely than gel implants to develop a capsular contracture (thick scar tissue around the implant) which can turn the breast into a hard ball. Gummy Bear implants are” highly cohesive” gel implants, meaning that the silicone gel inside is not a liquid or semi-liquid, but more of a solid rubbery material. Because these implants are essentially blocks of solid gel material, they tend to produce a firmer than normal breast. Additionally, Gummy Bear implants are prone to “silent fracture” during implantation when placed through a small incision. What advantages does the ideal Implant have over Gummy Bear implants? The main advantage ideal Implants have is a more natural feel, because they are not made of a solid material. Also, there is more of a fluid movement of the contents of the ideal Implant which is much more like the movement seen with a natural breast. Is there a difference in the shape of ideal Implant compared to Gummy Bear implants? Yes, ideal Implants are called “round”, or but are actually the shape of hamburger bun (not like a ball). Gummy bear implants are “tear-drop” shaped, and have a tendency to rotate out of proper position, leading to an oddly shaped breast. A rotation deformity usually requires re-operation to correct. Are there any age restrictions for the Ideal or Gel breast implants? Yes, FDA imposed age restrictions are 22 for Silicone Gel and Gummy Bear implants. For ideal Implants and traditional Saline Implants the minimum age is 18 years old. Has the ideal Implant been associated with Breast Implant Associated Anaplastic Large Cell Lymphoma (BIA-ALCL)? No. There have not been any reported cases of BIA-ALCL in patients with ideal Implants. Also, because ideal Implants are made with a smooth surface, and BIA-ALCL has only been seen following breast augmentation with textured breast implants, it is highly unlikely that BIA-ALCL will ever occur in patients with ideal Implants in the future.